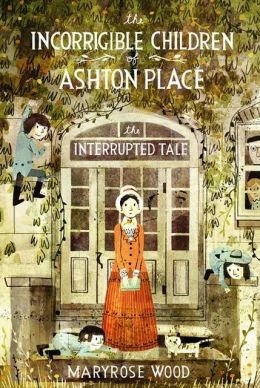 I didn't have that experience with The Incorrigible Children of Ashton Place: The Interrupted Tale by Maryrose Wood. I had that experience with The Incorrigible Children of Ashton Place: The Mysterious Howling, which was the first book in this serial. The Interrupted Tale is the fourth. I've liked them all, but The Interrupted Tale took a long time to get into. These books have a very distinctive voice, one I enjoy, but it's not a very natural one. I enjoy binge-reading adult mystery series. While I was reading The Interrupted Tale, I started thinking that binging might be the way to read serials, too. How great it would have been if I could have read all The Incorrigible Children books one right after another. There would have been no "getting to know you" period for each book. I could have just lived in the serial. So what do those of us who enjoy binge-reading a serial after it's concluded or a series after there's plenty to binge on need to do? As Roger pointed out, we often don't know that a book we're reading isn't a complete story. Once we've accidentally stumbled into a serial, do we just put reading the rest on hold for years until the serial has been completed? And when we are aware of a "new trilogy," do we avoid it and make a list for sometime in the future? Hmm. Perhaps I'll have more on this in the future. I do love when I procrastinate enough to binge read a series. Often I can't resist starting one, though, even when I know that there will be other books later. It is frustrating to discover it at the last minute, though. I'm glad when a book makes this clear.